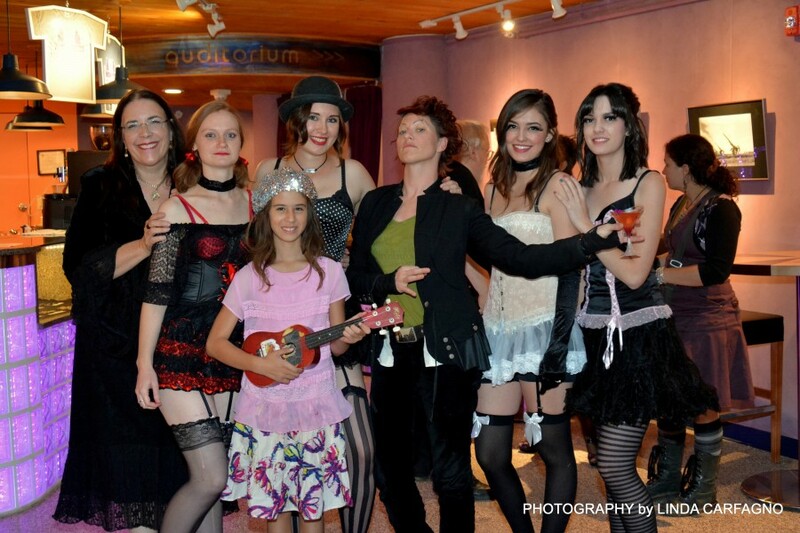 Once again Neil Gaiman and Amanda Palmer took Santa Fe by storm. Songs, stories, signed books. And Amanda's cocktail, the Deflowering, was a huge hit. Tomorrow another special event... a special advance screening of COPENHAGEN, with director Mark Raso and star Gethin Anthony. And we have two more big author events coming up in the weeks to come: KIM HARRISON on September 30 and LEV GROSSMAN on October 13. Getcha tickets early, or you may miss out again. So what is the recipe for a "Deflowering"? I'm so jealous you and your theater are not in MY area (1 hour from NYC in CT). Who are all the people in that picture? The non-Hugo winners, I mean. Pretty ladies! I almost didn't see you in the photo. Is Neil Gaiman still doing signings? I thought he had declared that there were just to many of us fans and only one of him. This is wonderful! Wish I could have been there! ...if you had any plans to visit New Zealand?? I suspect I know the answer, but we live in hope! How valyrian steel ingots might be forged. use the dragon's eye to smoothen it or their brain for cooling / quenching. George! You can't announce an Amanda Palmer cocktail and then not tell us what the recipe is! Everybody except two love black! Maybe 1.5.
who on earth is that woman in white? Is there a connection of some kind?